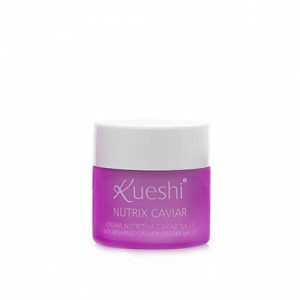 The Baby Kueshi Moisturizing Face Cream is excellent for use in facial and body extra dry or sensitive skin. Provides deep hydration, it absorbs completely and leaves a soft feel on the skin. 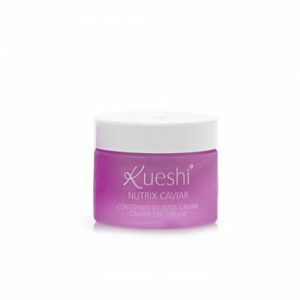 The Baby Kueshi Moisturizing Face Cream is excellent for use in facial and body extra dry or sensitive skin. Our gentle facial cream contains Calendula, which has been used to soothe skin for centuries. Provides deep hydration, it absorbs completely and leaves a soft feel on the skin. Sweet Almond Oil. Take care of inflamed skin, soothes skin irritations, moisturizes and soothes all skin types, has Vitamin B, essential minerals, zinc, iron, calcium, magnesium, phosphorus and potassium, protein and fatty acids beneficial for the skin. Shea Butter. It is an extracted and refined shea nuts vegetable fat. Its outstanding qualities make it a great element totally versatile: moisturizing, regenerating and healing. Calendula Extract. The flower of calendula has anti-inflammatory, desensitizing, natural antiseptic properties and is a strong healing when applied to the skin. It is a good emollient, softens, tones and moisturizes the skin. Calendula is perfect for dry skin when it is cracked and scaly as the hydrates, rejuvenates the skin and notice how much more elastic. In turn, calendula lovely to improve blood circulation and if we focus on the skin, beauty and skin tone is extraordinary. Chamomile Extract. Chamomile, is one of the most known and used since ancient medicinal plants. Chamomile extract is a stabilizer of the skin, with a high power soothing, anti-inflammatory, antibacterial, antifungal and antiseptic. Deflated maintains skin and uncongested. And also used for the anti-dandruff treatment. Ingredients: aqua, caprylic/capric triglyceride, prunus amygdalus dulcis oil, butyrospermum parkii butter, methyl glucose sesquistearate, propanediol, glyceryl stearate, glycerin, stearyl alcohol, benzyl alcohol, dehydroacetic acid, chamomilla recutita flower extract, calendula officinalis extract, xanthan gum, potassium sorbate, sodium benzoate, parfum, citral, linalool.